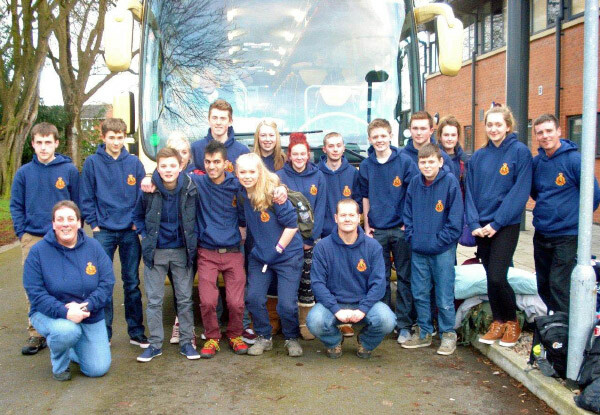 16 Cadets and 3 Adults met at Battalion Headquarters on Friday 15th February, they each swapped their passports and EHIC cards for a trip hoodie and beanie hat and waited for the coach to arrive. After a group photo and waves to parents, off we set from Lincoln on the long journey to Artesina in Italy. We shared the coach journey with students and their staff from the City of Sunderland College and they were great company throughout the week. We arrived at the ferry and after a good crossing we were in France and on our way: the scenery was spectacular, especially driving through Switzerland. We arrived at the hotel and everyone was ready for their dinner which by now was more like supper, out came a plate of pasta each and lots of seconds. We thought this was our main meal so everyone filled up as they were hungry after the long journey, only to realize it was just a starter and the main meal followed: this happened every day, after all the energy everyone was burning they needed a good fill!! 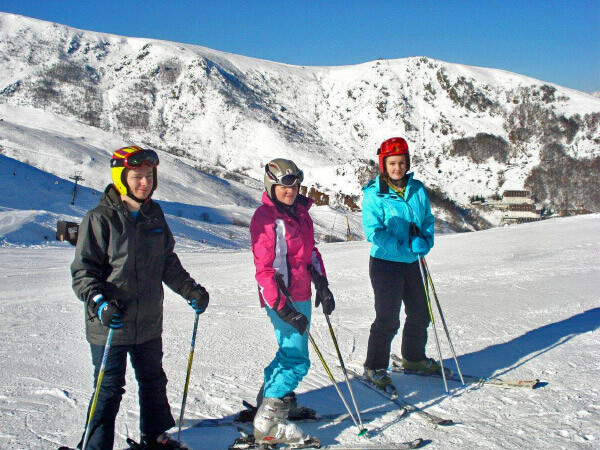 The following morning everyone was keen and up nice and early ready for the first day of skiing, after a hearty breakfast of croissants and cake (Yes for Breakfast!!!) 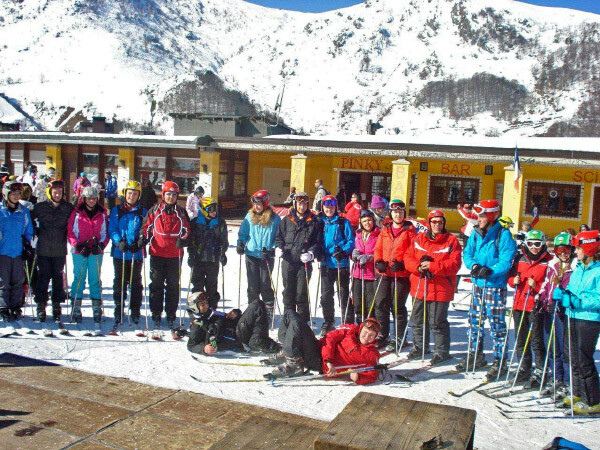 it was time for the ski, boots and helmet fitting, everyone was well kitted out and the equipment hire was very swift, ski passes and medical cards were issued and everyone was raring to go and get on the nursery slopes. We ventured out onto the small nursery slopes to test everyone abilities: panic set in when the instructors Yuri and Vanessa took everyone’s ski poles off them. There was lots of falling over and a few wipeouts but the majority of cadets managed it very well. We had a two hour instruction from 11.00am until 1.00pm, lunch break and then back out again at 3.00pm – 5.00pm. Not tired enough from skiing, the cadets purchased bum boards and then took to the nursery slopes with them too until it was time to shower and change before dinner. 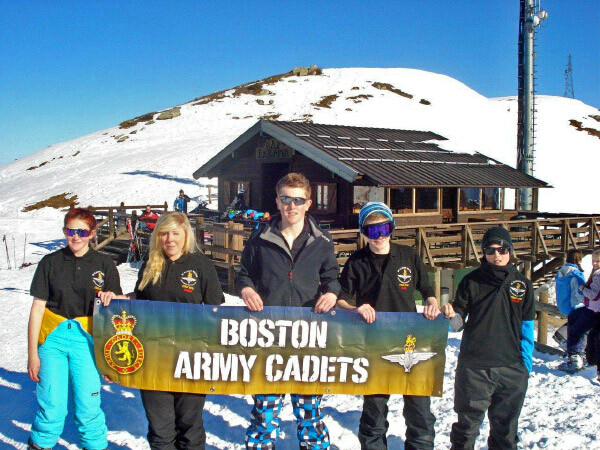 On the fourth day the sun shone again, the cadets could not believe how the locals all came out to the area in front of the hotel and propped up their deck chairs and sunned themselves and even some young children were building snow castles as though they were at beach. 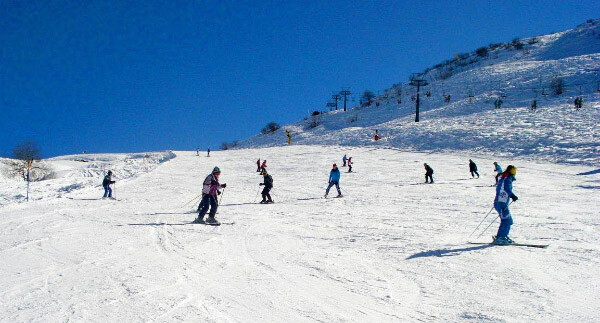 Another cracking day skiing on the black runs for the intermediate group, Cpl Peter Neal from Boston Detachment quoted ‘Yet another awesome day, the ski instructor took us down some more black runs and said that the level we are at is incredible after just 4 days of skiing’. The snow came overnight and the next day was really foggy but we still went out – we were lucky as our first lesson didn’t start until 11am so it gave everyone time to have a little rest in the morning and a well-earned lie in, (everyone was still in breakfast early!!). Another good days skiing albeit a little slower, unfortunately due to the low cloud the night skiing had to be cancelled. The final day arrived and no one wanted to go home. After an early breakfast, rooms were emptied and bags stowed away until the days skiing was finished, dinner and then back on the coach for the 23hour journey back to Lincolnshire.